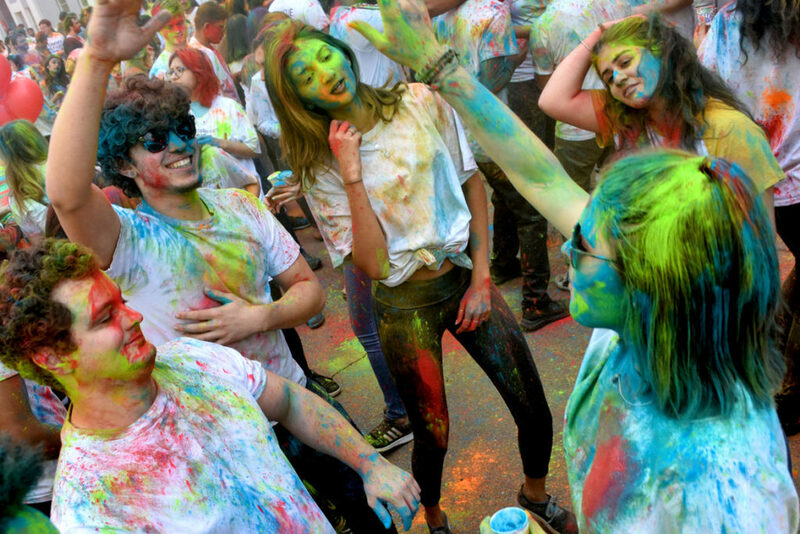 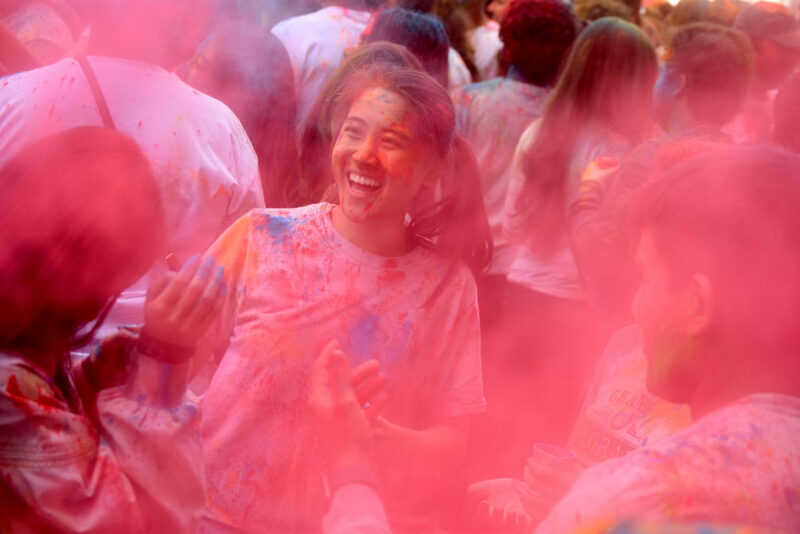 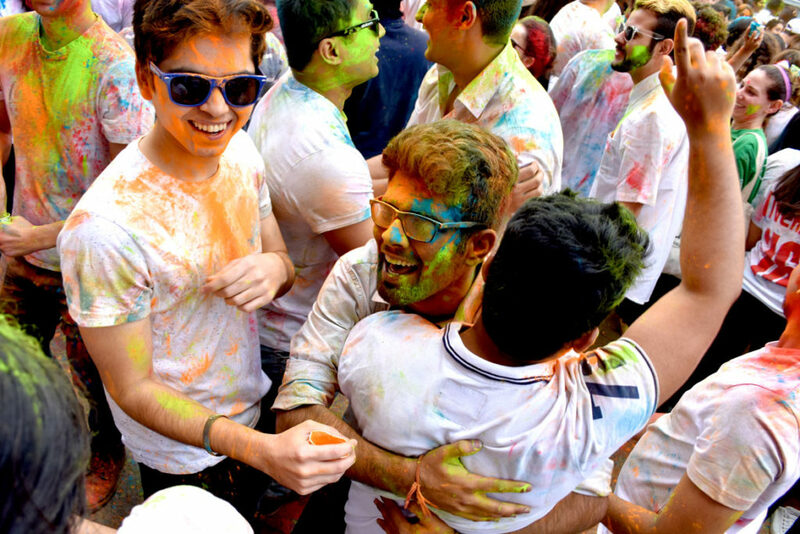 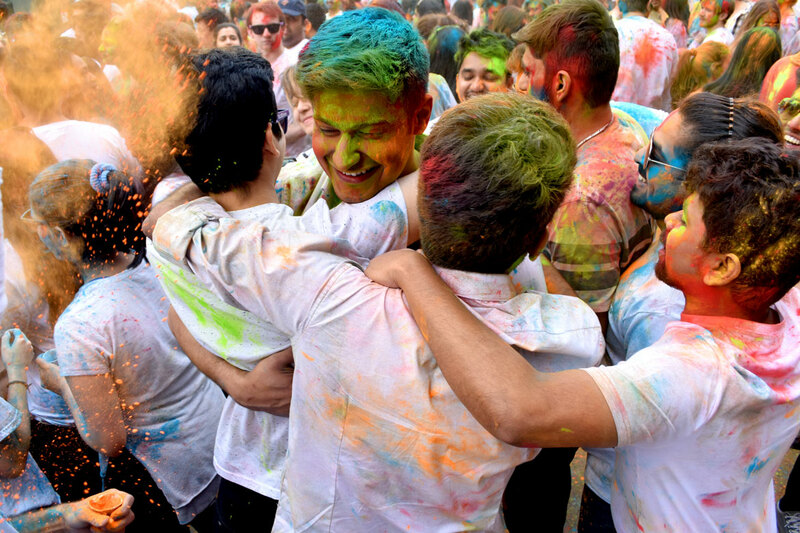 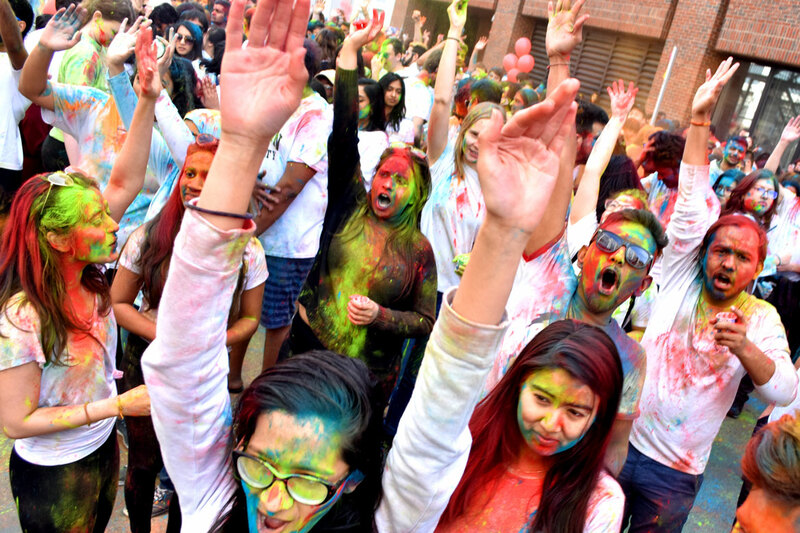 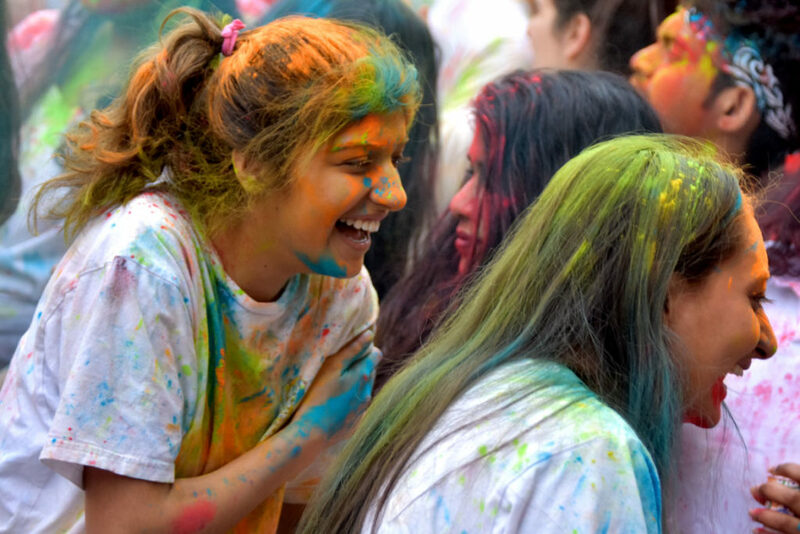 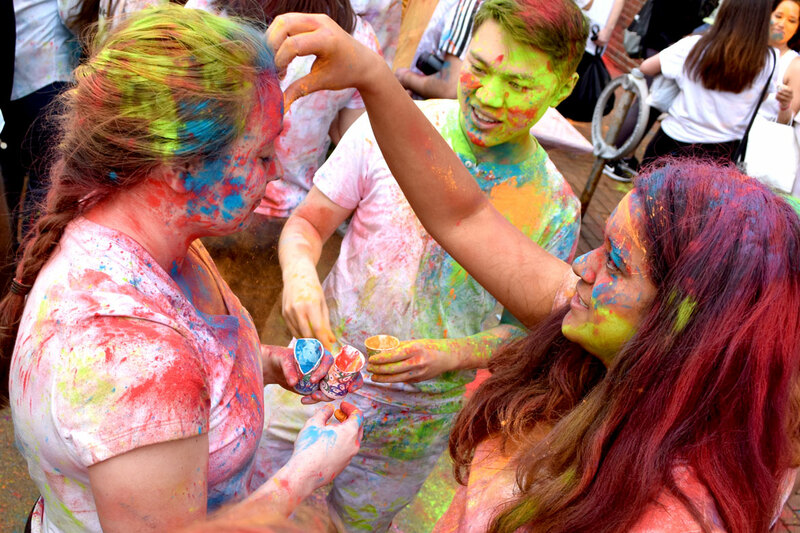 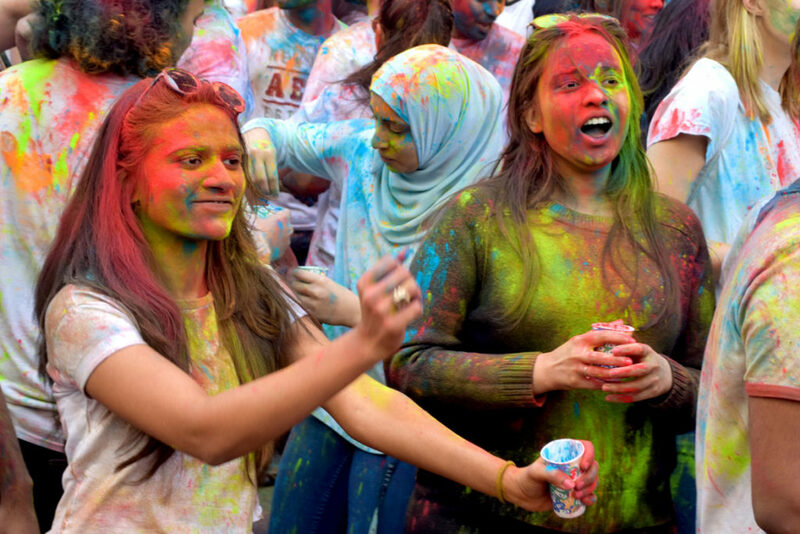 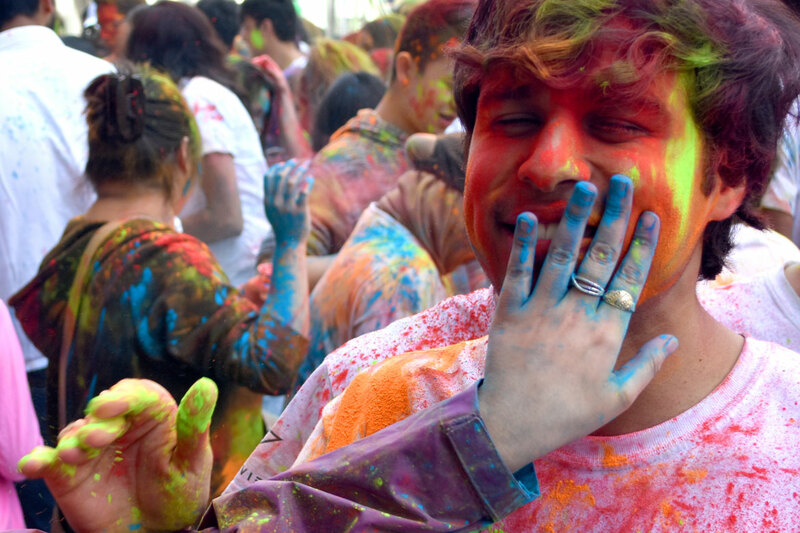 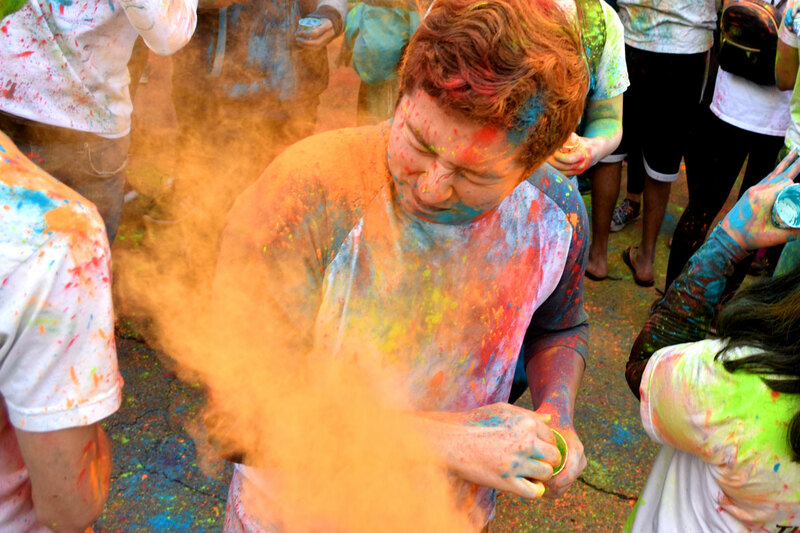 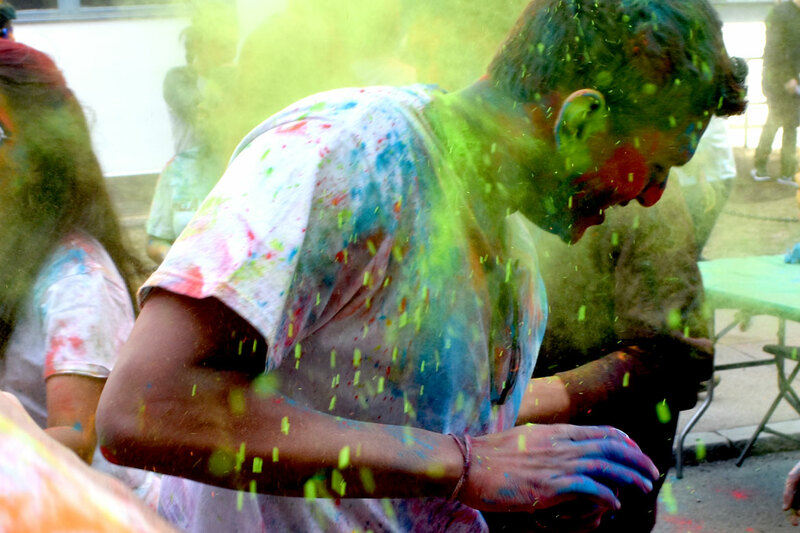 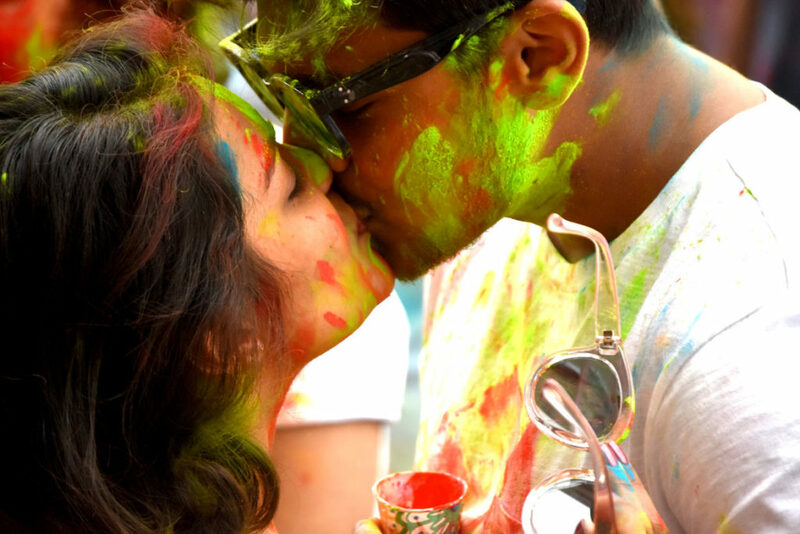 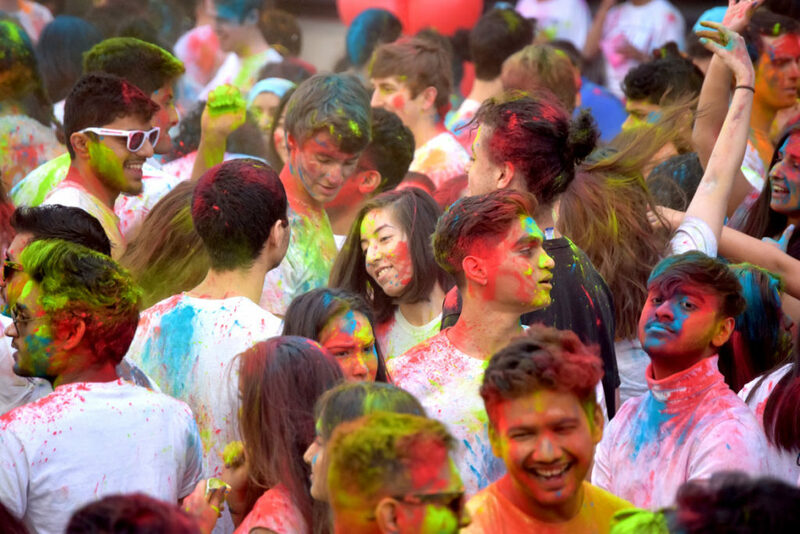 Holi is “the Hindu Festival of Colors which celebrates the arrival of Spring,” the Boston University Hindu Student Council writes. 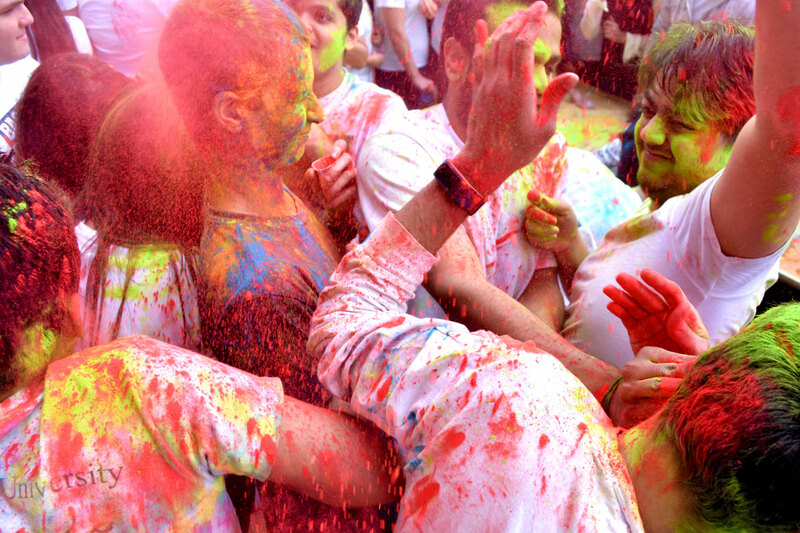 This afternoon they invited hundreds of their fellow students to join them on the campus’ Commington Mall in Boston to celebrate the holiday in the traditional way—with dancing and playing colors, namely hurling handfuls of violet and orange and other vividly colored powders at each other in a massive, rollicking free-for-all. 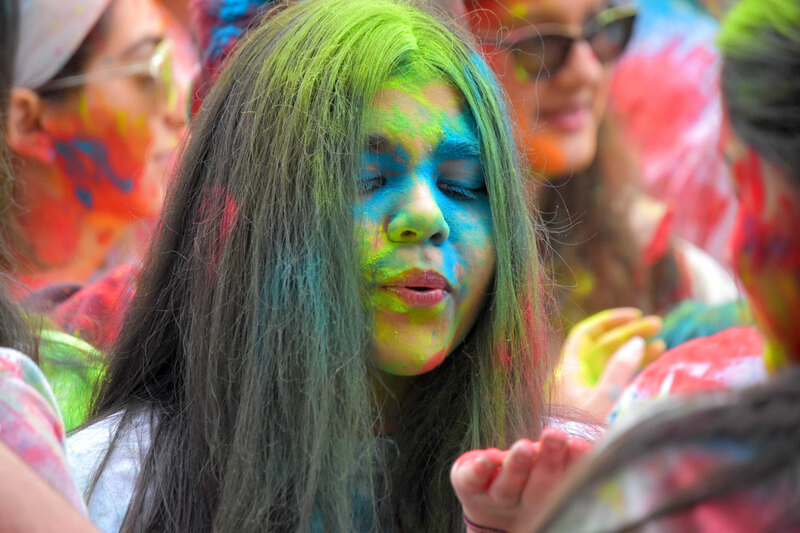 Photos copyright 2019 Greg Cook.